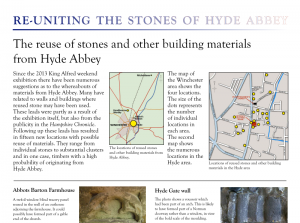 Shown on King Alfred Weekend 2014, this exhibition displays some of the remains we have found so far and explains what they were and where they came from. 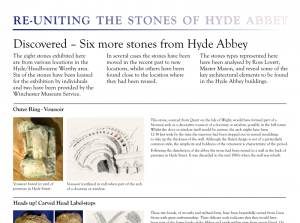 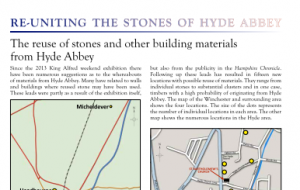 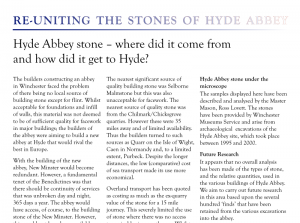 For an introduction to the Abbey and its stones, see the 2013 exhibition. 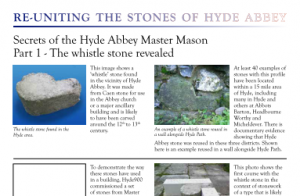 Click on each picture below to see the panel as a PDF document. 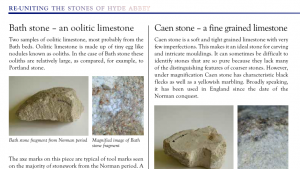 The handouts detail the different types of stone used and their origins. 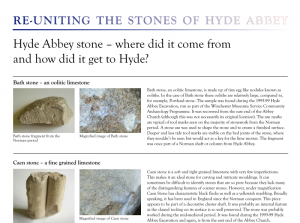 Click on each image below to see the handout as a printable PDF.